It's been over a month now with Björn and I'm still not 100% used to it's keyboard. Spanish keyboard... damned, I miss the Hungarian keyboard so much!! I guess I'm still quite at odds with my new laptop (or is it a netbook? I think it's a netbook), but we are working quite ok with one another. 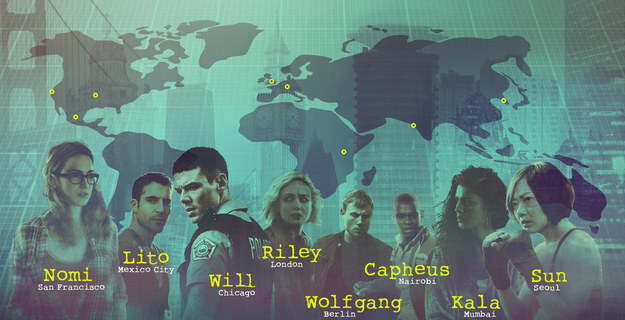 Well, this week - series-wise - I've got completely hooked on this Netflix series called Sense8. This series is about eight people from around the world, whose conciousness suddenly get connected among them after the death of a woman - Angelica - who is a sensate who, by her death, gives them a second birth as sensates. What's a sensate? It's like a kind of person who can connect, communicate and share skills with a given group of people, who are called their "cluster". At first they can't control their connection, and seem to be sharing in this open-sensory-channel of theirs all sorts of stuff that only confuses them the more. By the end of the first season (they have 12 episodes for the first season), you are not entirely convinced that they have managed to control their connection, but it seems like they are making progress. The story pushes boundaries, touches many sensitive topics, regarding sexuality and some old-story social topics as well. In my opinion, it pushes hard the sexuality topic, which is nice and sells well in today's occidental society, but it carefully skims over social topics, minding how much it delves into things that - taken with much more seriousness - could really become a political topic and a serious proposal interesting to watch. The second season has been authorized, from what it's heard down the grapewine, so yeah, can's wait to see what will be next!! This week I've also been a little bit more... "girly", to call it somehow. I've been keeping my facial care regime, which isn't always easy, as I'd rather sleep or read rather than lock myself in the bathroom to wash my face and put on a facial, but truth to be told, once I get to do it, I kind of like it. I'm being quite careful to always do the whole clean-wash-tone-eyecream-facecream-sunblock ritual in the morning - due to which I think I'll have to start waking up even earlier than already - and then the matching clean-wash-tone-eyecream-nightcream ritual in the evening, and that can prove to be rather tiresome, but oh well. We shall see if 1. I can keep doing it, and 2. what effects may it yield in the long run. It's a tad of pampering, and my skin feels a bit better, but then again, I'm noticing a bit of oilier skin, though I suspect that's due to my CC cream. Oh dear, yes, I've a CC cream. 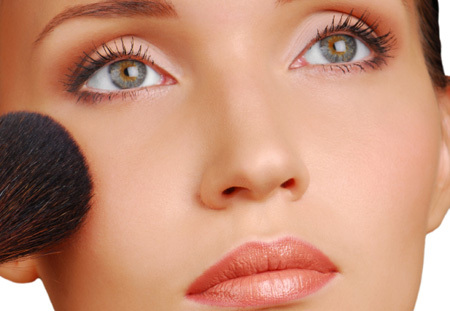 A CC cream is like a BB cream, only with more pigmentation. A CC cream is a moisturizing cream with a sunblocking and just a dab of color. Like a very-very light foundation you can use on its own to even out your skin tone. I'm basically using it like a sort of "trainer foundation", since I'm still not very fond of make up. Actually, the other day I put on make up to go to a forum, and the whole day I felt like I had his mask glued to my face, and I wanted nothing but to scratch it off. My coworkers commented on it, said it looked nice and very natural, bu I didn't feel comfortable in the least with it. I guess I have no practice still wih make up, and maybe I should try and practice more, but damned, it feels stiff on my face and it looks so... I don't know, weird. I guess I just don't know how to blend the color properly make the base look well, but still... Well, one day, maybe. Who knows? Along with the make up, I've been also wearing more dresses, ad pulled out some of my shorter dresses, which I combined with my opaque thighs and legwarmers. I love legwarmers! It's absolutely not a thing here, and I haven't seen anyone else in hear wear them, and everbody around me goes "Flashdance" when they see them - and really, I don't like much being compared to Jennifer Beal - but I've been taking the chance to be feminine on my own terms. I do my best not to wear them in front of my boss, since he has this ideas about how we should look, and I guess my legwarmers go against his idea of Armani-suit-clad-money-talking-professionals, but I still try to wear them as often as I can. And that's not very often, considering that I only have three of them. Naturally, as you can guess, my next trip to Hungary will include a mandatory stop at some of my favorite stocking stores to stock up on opaque thighs and legwarmers. And of course, a couple of stops at my favorite clothing stores to get the kind of short skirts and dresses that can showcase my latest love for opaque thighs and legwarmers. This "newfound" passion for clothes and skincare is kind of a product of the changes going in me body-wise. I'm closer to my ideal weight (the one that gives me a body-mass index of 22.5), and I'm already thinking in pushing that a little more, go for an index of 20. I'm getting more and more Narcissistic, which love, and want to do stuff like, I don't know, be naked for as much time as possible. I'm just so pleased and so in love with my body! For over a year I've been careful of my diet, and getting some exercise, and then some daily exercise. I can't tell you that I'm hitting the gym regularly, but I've some rutines, and I try to do something more than my daily 35 minutes each morning every week, even if it happens only once a week. Today I actually found something I might be able to add to my weekly program: The "90 Minutos Powerade" or "Powerade 90 Minutes". It's a program of two 45-minute free exercise classes that's held every Sunday at the Capital city's Metropolitan Park, which is better known as La Sabana, right in front of my workplace. The first class - at least today - is a kickboxing class, which was quite demanding and I didn't like so much. The second one I liked better and it was a zumba class. I actually thought it was all about zumba, so the kickboxing came as a surprise for me, but I still did it. I had decided to go with a friend of mine, who has been asisting for a while now, though she only goes for the zumba class. This activity, I believe, is part of a municipal initiative - or maybe a Health Ministry - to incentivate people to be healthier. In several communities now you can find exercise machines at the parks for people to go there and exercise at no cost, and now this sort of fitness activities are also held, so that people who want to be healthy and fit don't feel constrained for economical matters. The success of the program was evident in the fact that, thought it was a cloudy day and it stared rainig at some point, the area for the program was filled to capacity and people weren't leaving even in spite of the rain.